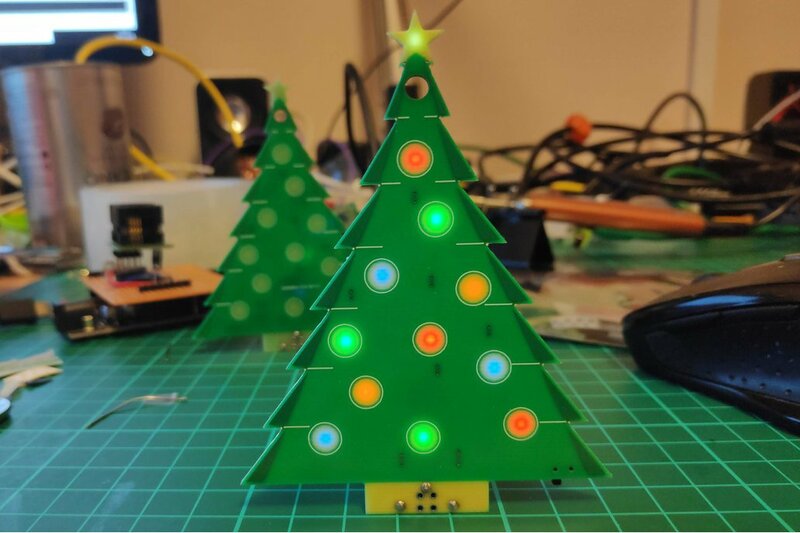 A Christmas Tree shaped PCB with reverse mounted LEDs to light up it's baubles and star. 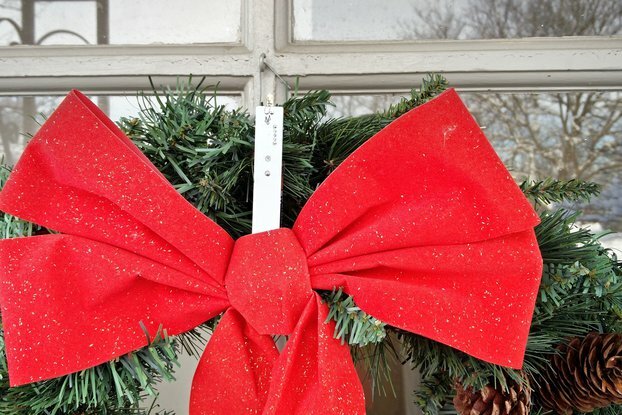 NOTE - Sold out for Christmas 2018! 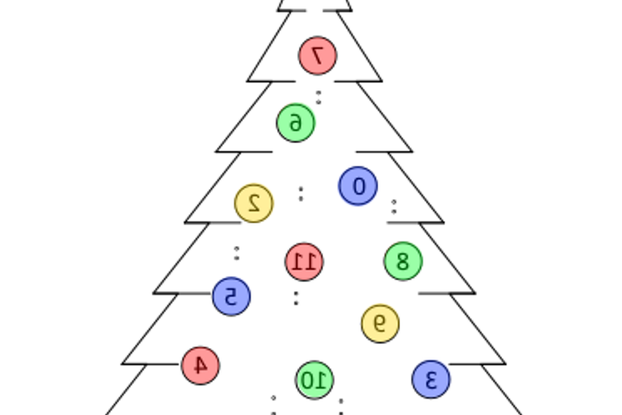 It is a PCB in the shape of a Christmas Tree with 12 charlie-plexed LEDs reverse mounted to shine through the board. 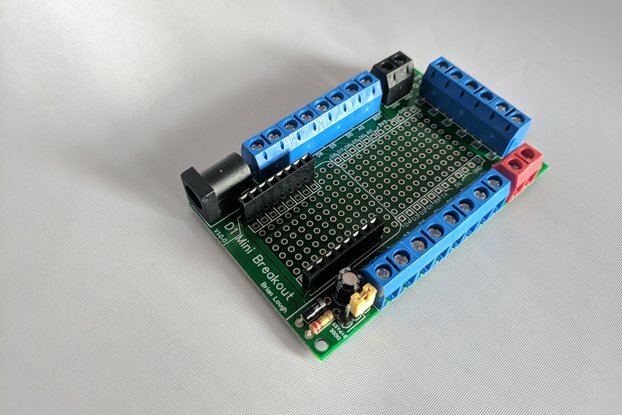 The board is controlled by an Atinny13 and is powered by a Cr2032 coin cell battery. 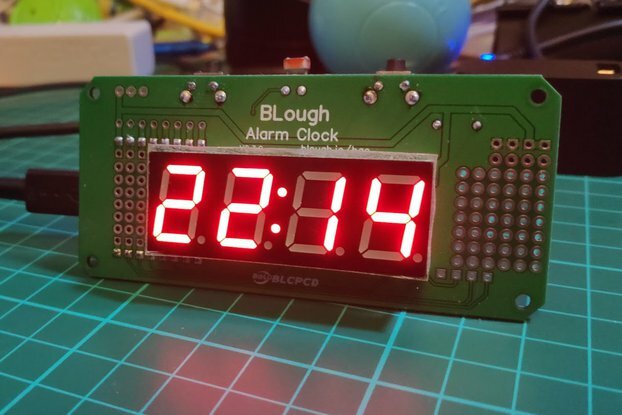 I have long been an admirer of the amazing things people were making as part of #badgelife and wanted to try replicating some of the features seen in them. I thought the baubles would be a perfect candidate for the LEDs being reverse mounted. I also thought it would make a really interesting tree ornament for our Christmas tree! I think the reverse mounted LEDs shining through the PCB looks really great. 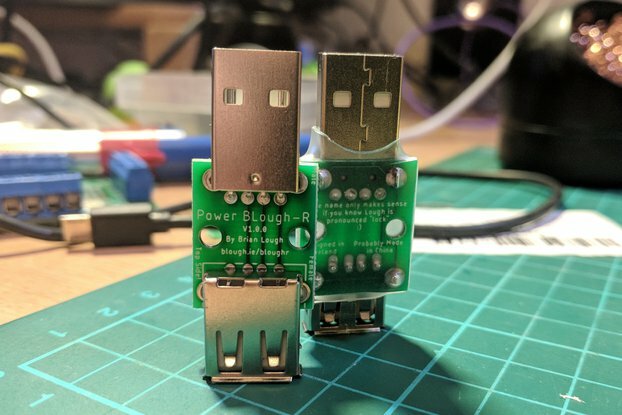 The PCB can be hung from a tree, it can free stand using the battery holder as a stand or be added to a badge using an SAO connector. 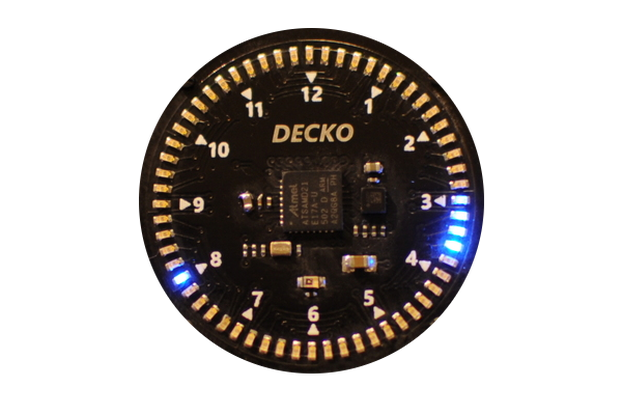 You can select different modes for the LEDs using the built-in button. There is also a switch for turning off the power. You can switch between running modes by holding down the button on the back. When you hold down the button (this might take a second or two) the animation will stop and a single LED will light up, keep holding the button and the single LED lit up will change. Each of the different LEDs represents a different mode. Here is the link to the paper documentation that will be included if selected, I thought I would give the option of not including it for tree saving purposes! You will receive 5 different coloured LEDs: Red, Blue, Green, Yellow and Orange (And 1 white for the star) and there are 11 slots for the LEDs so you can arrange it however you would like! Here is a suggestion for how to distribute the LEDs, it uses 4 of the available colours. Please note that blue is quite dim compared to the others (The main product image has blue at it's worse, the static mode). If this is a concern consider replacing blue with orange. So this is kind of a strange section but I just wanted to thank Dave for his help getting the tree this far, my schematic and code was almost entirely based on his sloth badge and he was a big help with the reverse mounting LEDs which he demonstrated in his word clock project. I got all this information and inspiration with his permission in case anyone is wondering! Time: 30 mins. Additional Tools Required: Tweezers Difficulty: Medium - Most of the components are fine to install, the difficulty comes from the LEDs, not only are they 0603 sized, they are to be mounted upside down, which makes it a little bit more challenging. This was my first time soldering 0603 and I actually found the size no problem at all, keeping the LED level is where the difficulty comes. It ships with over double the LEDs need so there are some spares if required. Will I get it before Christmas? - Please check An Post's dates for last posting (the "Standard Post Letters" option) to see if it will arrive in time for Christmas. Also please allow an extra day for me to ship it out! (so if the 10th of December is the final date, please order on the 9th or before!). Also be aware that sometimes Tindie manually reviews orders for verification, when this happens the order does not show up for me til the review is finished. 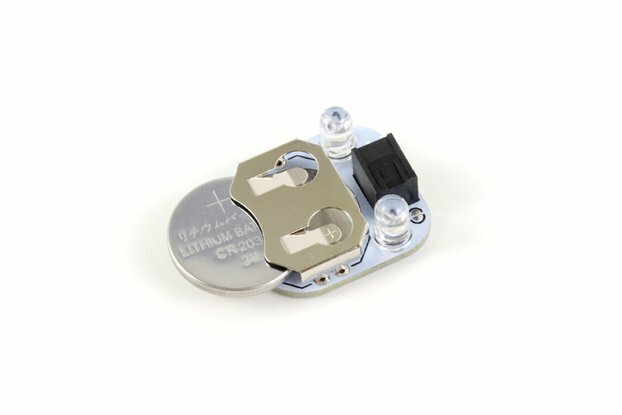 Why does the assembled option not have the battery holder soldered? -The battery holder sticks out from the board quite a bit when soldered, I'm concerned that it might get damaged in transit. How long does the battery last? - This is not a scientific answer, but roughly 24 hours. The code was still running after the 24 hours, but the blue LED no longer lit. Can I power it using something else? - Yes, I've tested with USB power it and it works fine. The Attiny should be fine up to 5.5V.